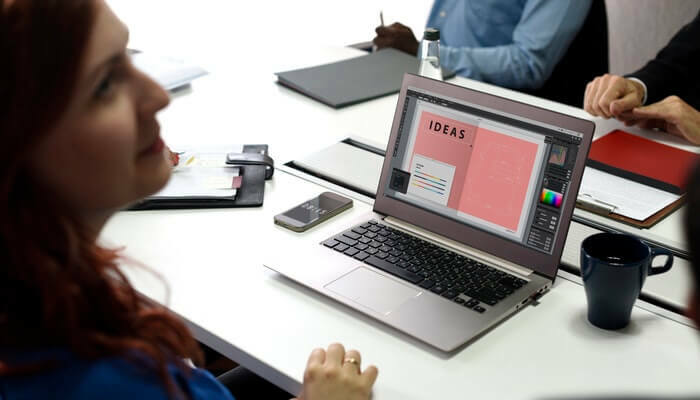 There are tons of website design and development agencies which offers digital services online but it is important to know which best suits your business. Many businesses don’t realize the worth of a powerful website and thus compromise by hiring unprofessional design agencies and suffer from a loss at last. In my 10 years of web design career, I have worked with thousands of web development helps and have gone through their ins and outs. Your business web design can be at risk if you choose the inappropriate web agencies. Unless you don’t have a high budget you can’t hire all the specialists of the field. So it’s better to look into your internal resources first and see what best they can do to help you. Also, having internal resources on your business web design can save your time and speed up operations at a fast pace. Every business is different and for the website development there is certain skill sets businesses to look for in a web development agency. For example, if you are a small business entity you’ll need a normal web design that just shows ‘Who you Are’ while if you are a corporate business you’ll need branding solutions, high content strategy implementation and might be other things. So, it is best to know your requirements first before you hire an agency, it will help you to find the right fit for your business. 03: What’s your scope and budget? There are different price ranges for customized web design and development. Some companies have a fixed budget, other need a high budget to start. But you should know your budget and scope first. If you are not clear about your web design scope and project requirements you may create a mess with the web design agency you hired. Some agencies have dedicated project managers for their projects handling who may serve complex and technical aspects of the projects but for your project, you may need a team of specialists or maybe a different project management process. It is therefore important to know your scope and budget so that you choose the right agency for your business. You are handing your professional website to the business so research is important. It will help you to explore more about web development assistance. Social Networking platforms are used in this approach. The reviews on social networking sites show how trustworthy the company is. You can also ask companies about their introduction, core values and objectives or your peers who have worked the online agencies. What is your niche and what are the websites on which you take more pride in your portfolio? What is your approach to work for a website? How important is for you to build a long-term professional relationship with clients? This will tell you how important their client is and what efforts they do to keep their clients stick with them. Do you outsource your major work? This question is important to ask to discover if the agency has outsourcing policies and if they outsource which companies are there in the outsourcing lists. From these questions, dig in the details and listen well to the answers. Read between the lines and explore even micro details about them. After all, it’s your business website, don’t take the risk! How was your experience with the web design agency? Which was the last project you have them on board? What are the areas you were impressed by them the most? Are you planning to hire them again? Once you have done all the discussion and still seems 90% satisfied with it, you can put your agency on a short trial by giving them a logo or mockup design. Having this task completed you’ll have the idea either the agency you were planning to hire was true to their words or not. Your business web design says a lot about your business so it is important to research the web design agency before you hire them. It will not only help you to have the right website design but will also connect you with the professionals’ agencies online so you can take their help when required.